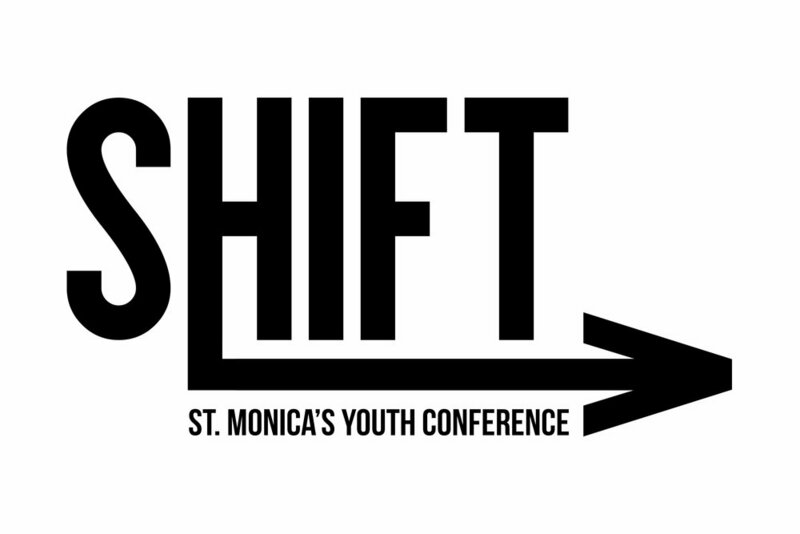 We're so excited to have you join us for the 2018 Shift Conference! We'll spend the weekend at Sky Ranch in Van, TX worshiping our awesome God while getting to hear from amazing speakers and take advantage of the retreat facility (ropes course, lake, etc.). THIS is a tentative overview of the conference. Times and activities are subject to change. Pick-Up/Drop-Off: Participants will have staggered drop-off times at St. Monica on Friday, August 24, 2018 starting at 4:30pm. All participants should be picked up on Sunday, August 26, 2018 at 1:00pm from the St. Monica Cafeteria. Dinner will not be served on Friday nor will lunch be served on Sunday. On Friday, participants should eat prior to arriving or bring something to eat on the bus. What to Pack: It will be hot outside and air-conditioned inside. Clothing should be comfortable and modest. Close-toed shoes are very important. There will be an opportunity to swim and use the water slides during free time. Swimwear should be modest. Girls should wear a one-piece with shorts. A two-piece may be worn with a shirt and shorts. Please pack a sleeping bag or bedding, all toiletries (including a towel), a reusable water bottle, a Rosary, and a Bible. Prescription Medication: Please give all prescription medication to the check-in team before getting on the bus. Medication not submitted prior to departure is not permitted. Participants may not self-medicate. What NOT to Pack: Participants should under no circumstances bring alcohol, drugs, or weapons of any kind. If any of the aforementioned items are found, they will be confiscated and the participant will be dismissed from the conference. Cell phones ARE permitted on the bus. Once we reach Sky Ranch, leaders will confiscate phones for the weekend. Failure to surrender a phone is grounds for dismissal from the conference. Finally, all food will be provided, so please do not pack any. Rules: Participants will be spending the ENTIRE weekend in their small groups. Small groups are assigned based on grade and gender. Participants are not permitted to wander from their own small group for any reason at any time. Dorms are off limits aside from the evenings. Participants are only permitted in their own dorms. Anyone found in an unassigned dorm or in a dorm outside of nighttime hours will be dismissed from the conference. Each small group will be rooming together, and there will be at least two leaders in each dorm. Chaperones: All adult leaders attending the retreat will be cleared through St. Monica's Safe Environment process.